When Tommy Europe talks about fitness, people listen. 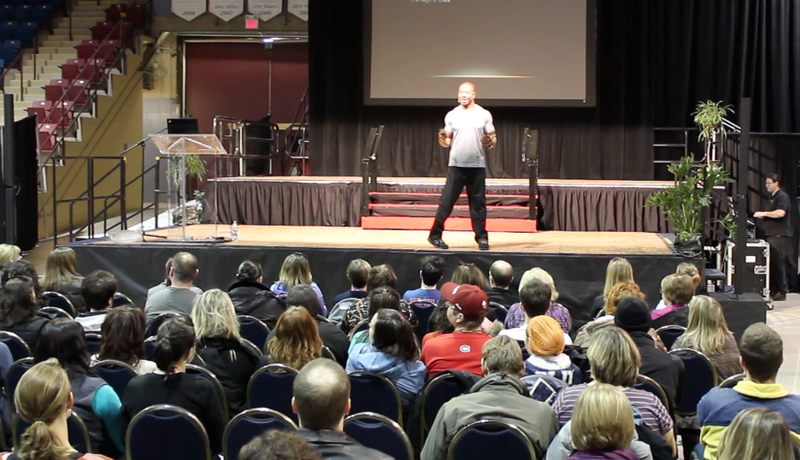 In this case, he is on stage at the OptiMYz Live Health Expo in Halifax, NS. But it’s not just his words. 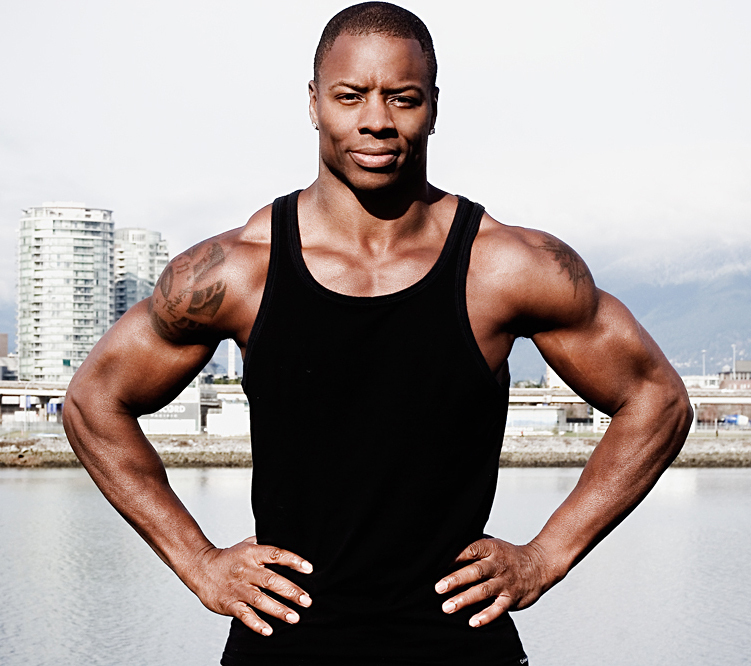 Former CFL player, fitness expert, star of TV shows The Last 10-Pound Bootcamp and Bulging Brides, Tommy is a big, strong guy with a commanding voice. But it’s not just his looks and his voice. He has that tremendous vitality that comes from good genetics coupled with a disciplined healthy lifestyle and the joy that radiates from someone who is doing exactly what he loves to do. He shares some scary numbers with the audience: 59% of Canadian adults and 26% of children are overweight or obese; past age 65, people who haven’t exercised regularly may see a decrease in muscle strength of 85%. Tommy offers a choice: A commitment to fitness and health that takes you far away from those gloomy statistics. 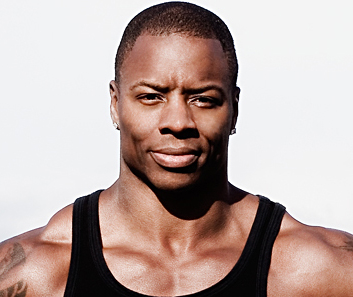 He talks about the four pillars of fitness: cardio, resistance training, rest (including a good sleep) and nutrition. The yin and yang of health—you need action, but also the right fuel and time to rest and recover. You need an action plan, he said. Write down your goals for the year and for the quarter, right down to weight and inches. Plan the how, when, and where of your routine. Check your baseline with a physical and a fitness assessment. Build your team—the people who will encourage and support you. Tommy doesn’t like diets. “They mess up your metabolism,” he says. Besides exercise, you need to boost your metabolism by always eating breakfast, then eating every two to three hours throughout the day, and consuming protein with every meal (including breakfast). Eat smaller portions of healthy food; eliminate all processed and junk food. In the gym, try isolateral exercises, suspension training, balance board work, and full body workouts. Switch up the tempo. “Say I can, I will. Keep moving.” A simple formula: Seven words to live by. See Tommy in action at OptiMYz Live Toronto!